For the last few years, I lived in a circa 1800 carriage house. Living in a structure with hand-crafted doors, glass hardware, and thick masonry walls was wonderful, but in some ways, adapting to a historic interior was challenging. Two major renovations in the late 1800s and the 1960s resulted in pipes from long-gone radiators sticking out of the floorboards, a wall-furnace tucked away in the shaft of the original chimney flue, and floors with gaps that opened to the exterior. As a renter, I couldn’t perform any major renovations, but I dreamed of updating the wiring, HVAC, and uneven floors while still preserving the historic charm I loved. From one historic house inhabitant to another, here are a few tips to help you update your historic house’s interior for more comfortable living without losing historic features in the process. These windows may look sturdy, but chances are the individual panes allow air to escape. Today, we completely insulate the exterior of a house from the interior. But by retrofitting your historic house with modern methods of draft mitigation, you are creating an impermeable vapor barrier that will eventually lead to problems like mold accumulation, cracks around stress points (when the weather cools), and other serious issues. Drafts can be annoying, but it is possible to deal with them appropriately in a historic house. Identify where in your house you may be losing energy. Make sure to check the dampers on your fireplaces, and consider adding insulation in your attic space to trap heat. Using insulation that was treated with borates (a fire retardant) won’t corrode pipes, making it a good choice for your old house. Historic walls can be insulated, but it generally is not recommended, since it almost always results in irrevocable damage to the walls and historic features. The best way to solve pesky drafts appropriately is to seal up any visible cracks in walls, floors, or windows with caulking. Weather stripping is a popular method to seal the crack perimeter of windows. These solutions will create a vapor barrier that works with the historic fabric of your house. Adding storm windows can make a huge difference if your windows are single-glazed. 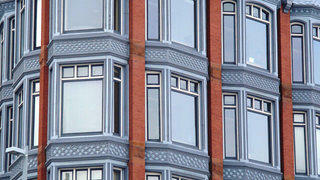 Because historic windows are typically a character-defining feature, replacing your windows should be a last resort. 2. HVAC and historic houses can coexist. Installing the newest climate controlled systems in a historic structure risks damaging decorative finishes and materials, and can lead to the loss of character-defining features. Small-duct HVAC systems that can be inserted above ceilings or through walls without having to drop ceilings are the best bet to minimize loss of historic fabric. This goes for other pipe systems like hydronic radiators or fan coil units. An expert in HVAC systems who is also versed in historic houses will know that systems that would keep damage or changes to the historic fabric to a minimum are the best option. 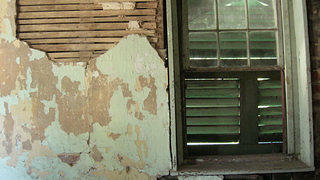 The exposed lath, plaster, and paint in this 19th-century building illustrates the many layers of a plaster wall. 3. Learn the secrets of plaster walls. Plaster walls have advantages over modern drywall because they’re typically better at reducing noise, are more fire-resistant, and stand up to moisture intrusion better. However, you cannot treat plaster walls the same as you would drywall. I learned this the hard way when a shelf in my bathroom fell out of the wall in the middle of the night—taking a huge chunk of plaster with it—because I installed the shelf as I would if it was being attached to a modern wall. Understanding the components of plaster is useful for any historic house owner (or renter), because plaster has some key differences from modern drywall. The interior of plaster walls is composed of lath upon which up to three coats of plaster are applied. The lath, which is nailed to supports like studs, allows the plaster to ooze between each strip and cling, forming keys (sometimes, though, the plaster is directly applied to a masonry surface and does not use lath). Though some may say that plaster walls are too delicate to support pictures or other wall decorations, that is a misconception that stems from improper workmanship or curing of the plaster. Popular removable strips to hang frames on walls without nails are better for modern drywall because they can often tear off small chunks of plaster, no matter how gently you remove them. 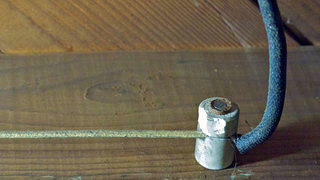 For small hooks to hang light objects, you can gently hammer the nail into the plaster without fear of cracking it. Anything heavier will require a drill and a wall anchor. One word of caution: If you hit lath, be gentle, because any vibrations can cause cracking. 4. Uneven floors might indicate a bigger issue. This is a problem you can also run into with modern construction, but with a historic structure, remedying it can be more challenging. Uneven floors in a historic house can range from inconsequential (a natural result of age) to worrisome (structural components were removed or are damaged). It’s important to determine how serious it is in your historic property so you can know what, if anything, needs to be done. I knew of a house in which all chimneys had been taken out, and the resulting holes were covered over with wood floors. Their absence created dips in the upper-level floors because the floors no longer had the chimney structure for support. Often, remediating worrisome floor dips will require adding beams or joists to the sub-floor for extra support. It will take time, though, and usually begins with jacking, so that the wood floors can slowly adapt to the new weight distribution. The fall and spring are the best times to embark on any repairs to wood floors, as humidity is more stable. Many historic structures have remnants of knob-and-tube wiring, a late-19th century electrical wiring option. Modern systems are much safer. 5. Know your options for electrical wiring. Often, living in a historic house means that outlets are sparse or are in inconvenient locations. In this technologically dependent age, having to move from couch to couch so your laptop charger can reach is frustrating. You can rewire your historic house or update what’s already in place, but you need to know the existing infrastructure—a professional familiar with historic structures will be your best bet. Electricians familiar with historic houses will know to refrain from drilling holes in structural beams and will try their best to minimize interference with historic components. They are also aware that though 60 amps used to be enough electricity for a property, the increased use of technology means that 200-amp service is typical today. This change affects the type of electrical systems required in any house, historic or otherwise. Because electricity is so necessary for a comfortable lifestyle today, it’s hard to live in a historic house with an outdated system. It is fully possible to rewire your house with modern comfort and safety in mind.